Sakanoue is a small cafe stands in a hill. 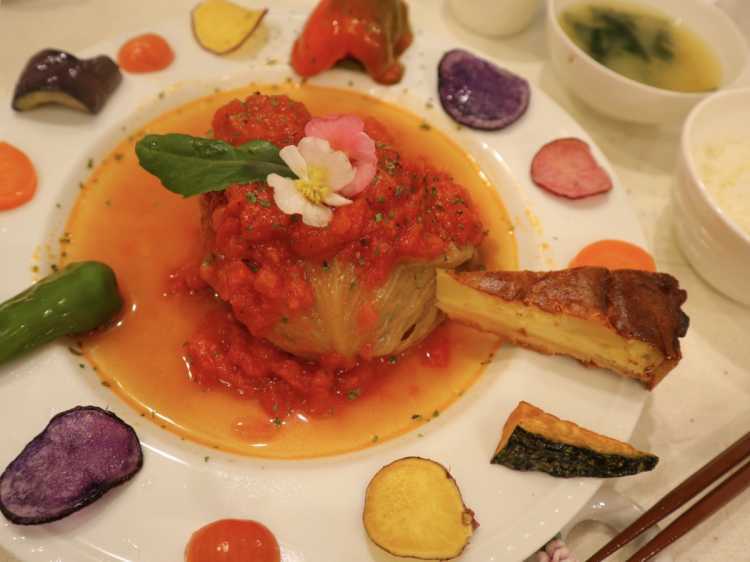 I didn't know that meat-stuffed cabbage can be arranged such beautiful! When they carry the dish to us, we instinctively said 'wow, it's beautiful! '.◎We need to climb narrow mountain roads, so be careful when you drive so narrow roads that two cars can't go each other.